You'll always have a connection with the father of your child. However, that doesn't always mean that you should date the father of your baby. Let our dating coach offer up some important advice. Congratulations on having a healthy baby boy and having a mum who is supportive of both you and your son. After the birth of a child, all those extra hormones are working their way through your system and leaving. This is just one reason why you feel physically and emotionally drained. This state won't last long, but it does take about six months before you'll feel more like your old self. Therefore, the only two people that deserve your attention, love and care right now are you and your baby. Your gut, that little voice inside of you that is wise, is telling your brain loud and clear, "Your boyfriend is cheating! Your boyfriend is not dependable! Your boyfriend is dishonest!" While your intuition is telling you all of this, another voice, the one in your heart is saying, "but, he's the father of my baby. He says he deserves another chance because he has changed and I love him." Between the voices inside and the hormonal chances, it's hard to know what the right thing to do is. The right answer is, give it time. Time is on your side whether you move in with your boyfriend now or later. Given what others have told you already and that you saw text messages where he was flirting with someone, you already have enough information to tell you not to move in. If that was not enough to convince, then consider that you don't know what he is doing when he is not with you AND he has not done anything to show you that you and the baby are his top priority. Instead, he tries to tell you that his behavior has changed. Let him show you the truth. Should you move in with your boyfriend before he has time to show you he is honorable, honest and wants to be a good father, it is likely you'll feel dependent, needy and unloved. On the other hand, if you take the time to allow your mum to help you with the baby, take care of you and be there to offer love and support to both you and your son, you will get your strength back faster. During this time, you will be giving your boyfriend the opportunity to prove to you that his behavior and his words match. He can do this by answering your calls, coming to see you, and spending time with his son and being where he says he is when he is not with you. Giving your boyfriend time to show you that what he says and what he does are the same, will answer the question of whether or not he is cheating and whether or not he is ready to be an involved father. It will also give you time to regain your physical and emotional strength. When you are strong both physically and emotionally, you'll also be thinking clearly and you will know when the right time to move in is. Should I Have the Baby? To be a good parent requires many things, one being the ability to put the needs of the child ahead of your own. In order to do this, there has to be a maturity level present. If your boyfriend's sole reason for not wanting to be a parent is that he doesn't want to disobey his parents, then I have to say he is not mature enough to nurture and care for a child. If the only way your boyfriend believes he can get you to do what he wants is to threaten to leave you, he is not mature enough to be a parent. As to whether or not he will come around after the baby is born, I don't know. You may be able to force him legally to be financially responsible for his child, but this is no guarantee that he will be physically and emotionally responsible. Two questions to consider. The first is, "are you ready to choose having his baby over having him?" The second question is, "are you ready to be a single parent?" The decision whether to have the baby needs to be independent of your boyfriend and his family's wishes. Should you decide to have the baby and keep it, you will be providing the emotional, financial and physical care for the baby. 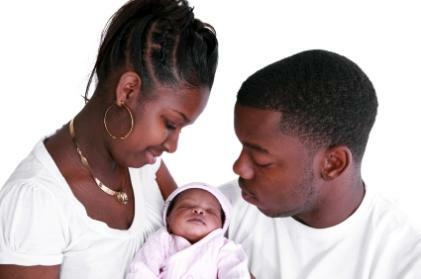 To do this successfully, you will need to put the love for your baby above the needs of yourself and your boyfriend. Before you can decide what to do about your boyfriend, you need to make you own decisions about having the baby.